String Infusion are a vibrant all-girl string crossover group who originate from Manchester offering a traditional string acoustic and a modern electric string performance with LED instruments. Their musical and creative director Emma Rushworth balances her music career with her Masters studies at the Northern College of Music in Manchester. String Infusion have grown rapidly into one of the fastest growing string bands in the UK and have developed a strong niche entertaining a wide selection of major corporate clients alongside performing at VIP’s events. Their recent expansion across London and Europe performing at music festivals hs led to work supporting major recording artists. 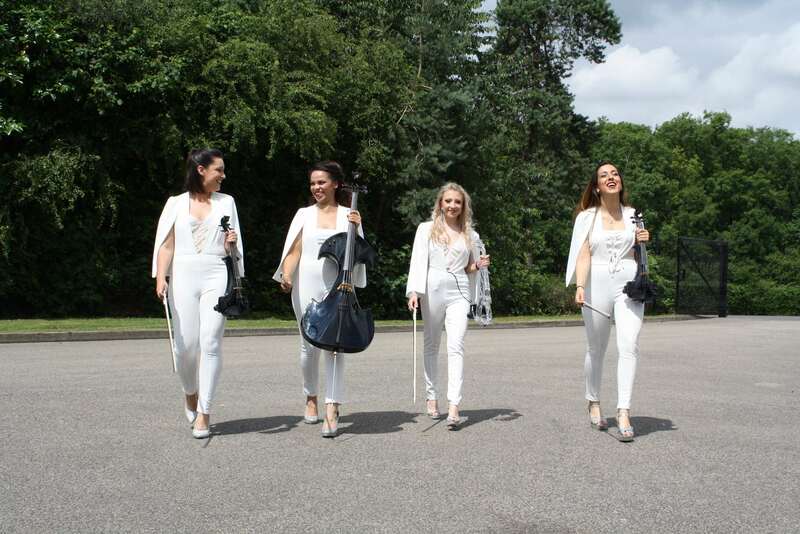 Proud of their Manchester roots, String Infusion also support a range of charities across the North West and their success led to the group performing at the recent prestigious ‘Pride of Britain’ Awards in London. You can find String Infusion on Facebook here, Instagram here and visit their website for more information.